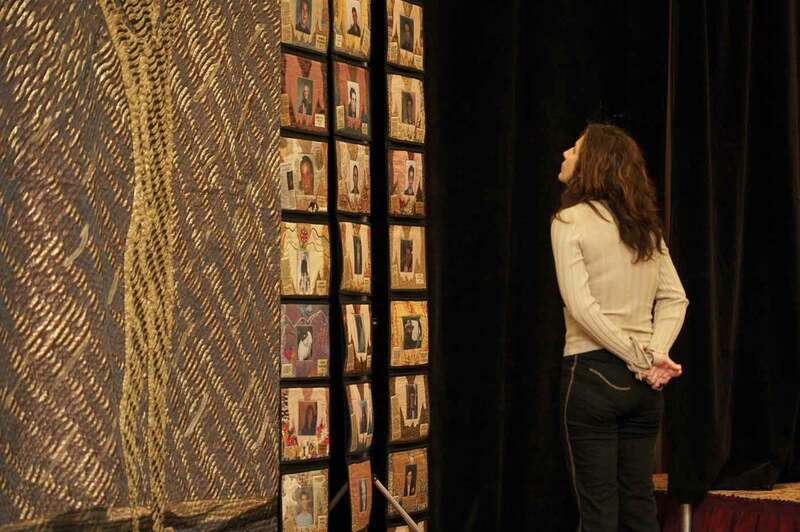 The LifeQuilt is a unique and permanent memorial dedicated to the thousands of young women and men between the ages of 14 and 24, who have been killed and injured on the job. The quilt commemorates 100 young workers killed on the job with individual, personalized quilted blocks. The LifeQuilt’s centre focal image honours young workers injured on the job. The entire quilt tapestry measures roughly 3 x 6m (9’ x 18’). Young workers are more likely than other workers to be hurt or killed on the job – that’s what the statistics say. But the statistics can’t portray the stories of these young lives interrupted, or of the overwhelming grief and chaos left behind. In creating the LifeQuilt, designer Laurie Swim, the quilters and the families of the young workers tried to capture all of that. Their goal was not only to honour and remember their loved ones, but to prevent the same loss to other families. 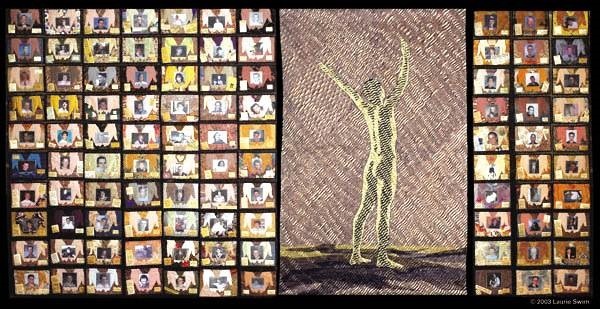 The LifeQuilt was completed and first unveiled on National Day of Mourning, April 28, 2003. The LifeQuilt is occasionally available for display at health and safety events. If you are interested in having the quilt at your event, please contact us. But please be aware: due to the quilt’s size and delicacy, there are limitations for shipping and displaying it. To ensure the LifeQuilt has the maximum impact, we strongly encourage event organizers to book one of our volunteer speakers to tell their real-life story of workplace tragedy. We look for bookings where the quilt will be displayed for a minimum of two days, where there will be public access, and where the quilt’s message will reach a large number of people. Contact us to inquire about booking the LifeQuilt. Threads of Life thanks the many partners who came together to create and support the LifeQuilt, and the many families who shared their stories through the quilt.